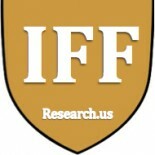 The Institute For Family Research and Development was created to highlight ongoing research and data collected by interns, students and partners of the Museum of Motherhood. This research is being shared for the purposes of educating and empowering people to have a more informed understanding of the complicated rituals, traditions, policies, practices and practicalities of parenting around the world. We believe that the fresh perspectives of youth and students will help inform our world about more enlightened attitudes. We support ongoing examination and dissemination of information as it relates to the sphere of women, mothers, fathers, caregivers, children and the history and evolution of family structures.